The iron rule with reporting on video game is this: the bigger the game title, the bigger the swarms of rumors. This observation is especially true for one of the most popular game series ever-the open world action adventure Grand Theft Auto. 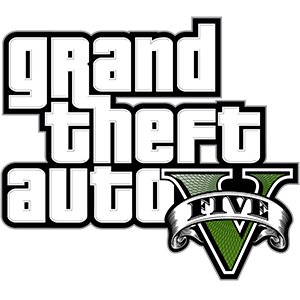 Now that the series has a new installment in the works, Grand Theft Auto 5, the rumors, speculation, and wishful thinking are fiercer than ever. The latest rumor to hit this highly anticipated title is that the code files for Max Payne 3, the hard hitting hard-edged action title developed by Grand Theft Auto developer Rockstar Games, contains a list of vehicles players can operate in Grand Theft Auto 5. Of course, this rumor set the gaming blogosphere on fire. The rumored list contains a whole lot of vehicles. All told, the upcoming open world game will have 1 plane, 9 train models, 25 boats, 10 helicopters, 5 bikes, and 48 car models. That’s a lot of vehicles. Then again, that’s the meat and potatoes of Grand Theft Auto-vehicle diversity. What’s the pointing of jacking vehicle operators out of their ride if the vehicles are all the same? In terms of model names, they are quite varied. Bikes supposedly carry the following monikers: z75, Spike and Enduro. Helicopters in the game sport such names as Napalm, Hind, Maverick, and Bchopper. The plane goes by the name of Cuban800. As for other vehicles, they are named Snowplough, Burrito, Boxville, Bobcat, Biff, Benson, and Bobsleigh. Take note that the rumored vehicle list is tentative and has not been confirmed by Rockstar. It would not be surprising to see the list change as we get closer to game launch.